Do you need to update your knowledge of the EYFS? Learning and development is one of the two key areas of the EYFS, and it is extremely important. As learning and development shapes the activities and experiences nannies and other forms of childcare offer children under 5 years old. 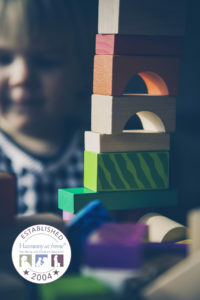 The EYFS states that the educational programme must involve activities and experiences that cover 7 significant and inter-connected areas of learning and development. Let’s take a quick look at these 7 important areas. Creating an environment where children are comfortable and are able to express themselves. Plus being able to speak and listen in a variety of situations enables them to develop their language and communication skills. Children from a young age become very active. As well as becoming naturally active they must also be taught why it is important to be active as well as healthy. They must learn about healthy eating and why they should continue physical activity. This area helps to shape children’s social skills, learn about respect and gaining an understanding of their different feelings/emotions. Overtime, in a natural and taught environment children need to become phonemic aware. This is the ability to hear and identify different words and sounds. As we all as start learning to read and write. Children need help/guidance when developing their knowledge of numbers and mathematical calculations. As well as being able to distinguish between different shapes, spaces, and measures. This is through children observing and exploring everything around them. This is done by spending time in different places as well as using different technology around them. Giving children the chance to express themselves, through: painting, drawing, instruments or physical activities such as dance. This gives them the chance to not only express themselves but also learn new things. If you are working in an early years environment, you need to be aware of the 7 learning and development areas. You also need to have a broad understanding of the rest of the EYFS. Take our training course today and become more aware of the EYFS. Do you know enough about the Early Years Foundation Stage? 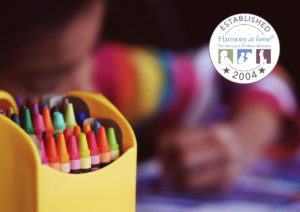 The EYFS is a set of standards and requirements and they must be followed by childcarers looking after children aged 0-5 like such as nannies, childminders, nurseries and pre-schools. Did you know that you need to be up to date in your knowledge of the EYFS? In August 2016, the UK government announced the beginning of consultation proposals to change the ways that early years education is funded. This is because children develop quickly during their early years, and therefore deserve the best possible start in life. As a result of developing quickly, this is in place to ensure that they can achieve to their full potential. Therefore this type of education is important as early experiences in life can affect them as they grow up. Voice – the union for education, early years, and childcare professionals is pleased that proposals have been made. As this means that a fairer system can hopefully be created, resulting in it becoming easier for families to access high quality and affordable childcare. The EYFS doesn’t simply focus on childcare. The EYFS also focuses on children being provided with the best quality early years education. Early years learning also has an impact on the rest of their lives and further education. Therefore the EYFS is there to ensure that children learn and develop well, but are also safe, healthy and happy. Every nanny and child carer needs to be up-to-date and knowledgeable about the EYFS. Take our training course today. Click HERE NOW. E-safety and children. Are you aware of the dangers? The dangers of the internet are growing as the age of children gaining access to the internet drops. Unfortunately there are many risks online. As well as being a victim of cyberbullying and grooming, children uploading visual content of themselves is also becoming a risk as different media data is being linked to them. This refers to the situation where children are in the position of being cyberbullied or groomed. These risks are unfortunately not only posed by strangers over the internet. Unfortunately, children’s peers can also cyberbully and therefore children struggle to distinguish between the two. As a result of this, there is no longer the push on making children aware of ‘stranger danger’. Instead there is a growing focus on making sure children are careful about the information they display online, as well as being aware of others online. Refers to situations where children may be at risk of seeing upsetting, inappropriate or illegal content. REMEMBER: not all the examples given are illegal in itself. A lot of content is not intentionally created to harm children. It is also important to note that children will not necessarily find the material given above. It is more likely to be found intentionally rather than accidentally. Conduct is about situations where children are in the position of actors. They may be involved with production or uploading of inappropriate content, the piracy of materials, or hacking. Firstly, illegal downloading. Children are becoming more curious and are aware of new software. There is easy access to a range of downloadable music, videos, and software. A lot of the downloadable software etc. is legal but not all downloadable content is. Therefore, be aware of what children are downloading. Illegal downloading or file sharing can expose children to a number of risks. Such as viruses, unsuitable images and fines. Secondly, sexting, which is the act of sharing sexual messages or sexually explicit images or videos using smartphones or other devices. This may sometimes be referred to as ‘cybersex’ and images and videos can be shared between friends and strangers. Children’s worries have changed over the years. Before it was about content and what they would see on the internet. Nowadays as children get older, they worry more about contact and conduct. This is as a result of being able to put so much personal information up about themselves. Talk about content, contact and conduct. Educate your children or the children you look after, so that they can understand any content they are exposed to. Ask questions about what they are doing who they are speaking to and discuss how they should conduct themselves. In conclusion, do not look at the internet as being pure danger. The internet is also educational and as a fun activity for children. Just be aware of all he different areas of the internet and also block specific websites and apps that are on devices, as well as creating passwords that need you to consent prior to a download. If you are concerned about the internet and want to either refresh your knowledge or widen your training you can book and complete our Level 2 accredited e-safety training course here.